Cornwall Mazda | Get the 2019 Mazda3 Sport Today! Home > Special Offers > Sales > Get the 2019 Mazda3 Sport Today! Get the 2019 Mazda3 Sport Today! 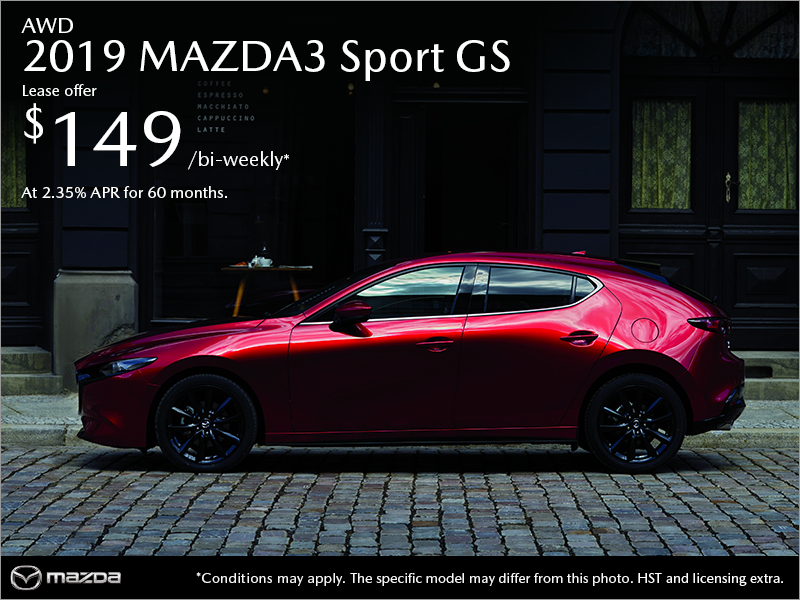 Lease the 2019 Mazda3 Sport GS from only $149 bi-weekly at 2.35% APR for 60 months with $2,455 down! Conditions may apply, HST and licensing extra. 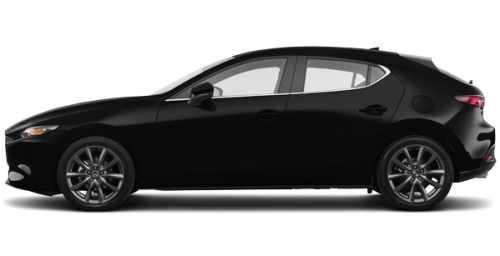 ‡Offer available on retail leases of new 2019 Mazda3 GS AWD (DXSN89AA00)/2019 Mazda3 Sport GS AWD (SXSN89AA00)/2019 CX-5 GS AWD (NXSN89AA00)/2019 CX-9 GS AWD (QXSM89AA00) with a lease APR of 2.35%/2.35%/2.95%/1.95% and 130/130/104/130 bi-weekly payments of $139/$149/$169/$199 for 60/60/48/60 months, the total lease obligation is $21,102/$21,882/$21,421/$30,312, including down payment (or equivalent trade-in) of $2,975/$2,455/$3,845/$4,395. As shown, Offered Pricing for new 2019 Mazda3 GT (DVTN89AA00)/2019 Mazda3 Sport GT with Premium Package (SVTN69PR01)/2019 CX-5 GT (NXTN89AA00)/2019 CX-9 GT AWD (QXTM89AA00) with a lease APR of 2.35%/2.35%/2.95%/1.95% and 130/130/104/130 bi-weekly payments of $139/$155/$193/$250 for 60/60/48/60 months, the total lease obligation is $20,994/$22,651/$23,911/$36,954, including down payment (or equivalent trade-in) of $2,975/$2,455/$3,845/$4,395. NOTE: 2019 CX-9 lease offers include $400 lease cash. Lease payments include freight and P.D.E. of $1,695/$1,695/$1,895/$1,895, $10 OMVIC fee (all models), $20.00 ($16.00 for MX-5/MX-5 RF models) Tire Stewardship fee (all models – covering the cost to Mazda Canada of collecting and recycling tires), $100 Air Conditioning charge (all models), $150 Lease Dealer Service Fee (all models) and PPSA of $90.95/$90.95/$75.28/$90.95. First monthly payment is due at lease inception. 20,000 km per year mileage allowance applies; if exceeded, additional 8¢ per km applies (12¢ per km for CX-9 models). Offers exclude HST. Offered leasing available to retail customers only.